What are Hoodie Sweatshirt Sizes ? There are many sizes for you to choose, from size S to 5XL. If you can not find the size you want, please contact: tshirts.salalo@gmail.com. We will provide the size based on your demand. 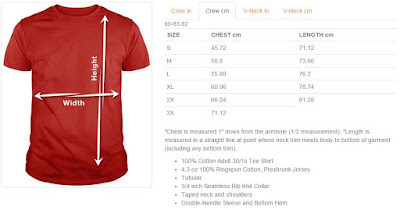 What are Mens/Unisex T-Shirt Sizes ?